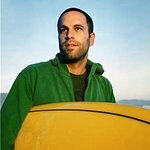 Jack Johnson has two songs on the new Brushfire Records Christmas album, being released on November 15. 25% of the profits from This Warm December Vol 2 will be donated to charities benefiting musical education for kids, including Little Kids Rock and the Silverlake Conservatory of Music. Anyone who orders the album from ThisWarmDecember.com by December 1 will be entered into a draw to win some great prizes, including a Jack Johnson ukulele, a G. Love microphone and more.